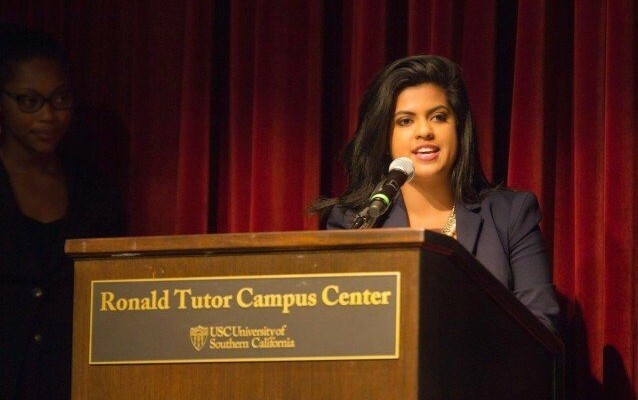 When Rini Sampath decided to run for student body president at the University of Southern California, she said some students told her she would never win. She was a young woman and a minority, and she was running on a ticket with another woman, who was also a minority. Their advice? Choose a white, male student as your running mate.Sampath, 21, is no stranger to discrimination. She was born in Theni, a district in Tamil Nadu state in India, and she moved to America when she was 6. Classmates in Arizona asked whether her mom was from Mars, she said. Others told her she couldn’t play with them. Why? Because she had brown skin.